I've covered shelving decals before, but this is the first time I've seen decals of book stacks. If you lust after the look of imitation-library wallpaper but not the cost, you may want to check out this offering from Z Gallerie. 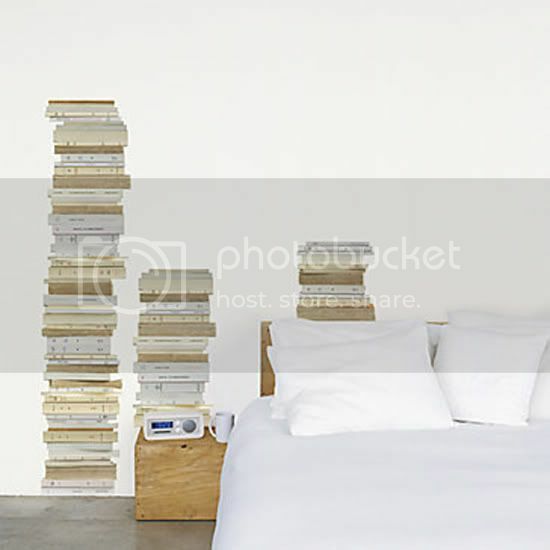 For $24.99, you get four decals of varying-height book stacks, which you can stick to painted walls, doors, or varnished wood — basically any clean and smooth surface.